Our church is doing something super cool this year and my family is jumping on the ship to help out (Now I know this isn't the first time our church has done this but it is the first time my family has)! 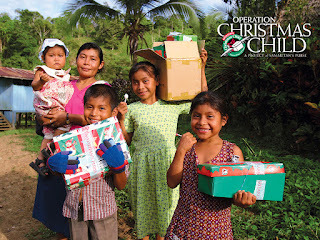 We are partnering with Operation Christmas Child to help get presents to underprivileged children in other countries. 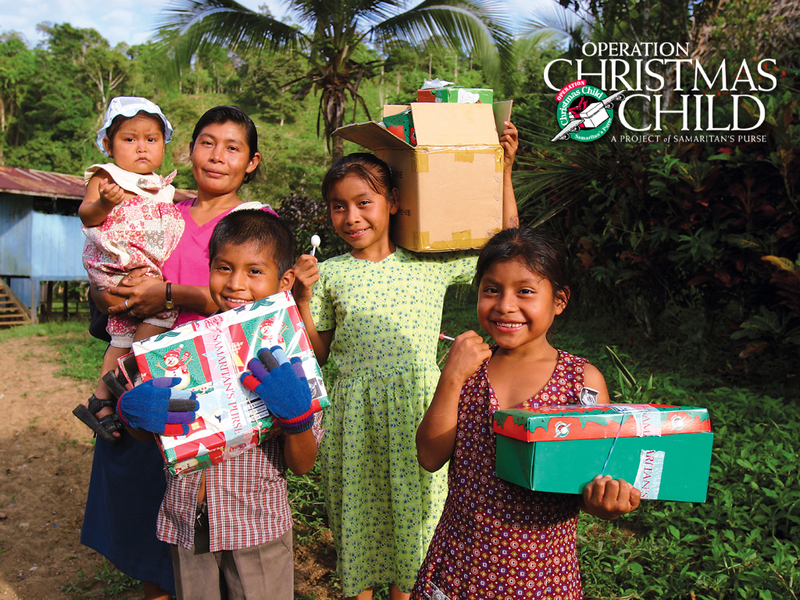 Now Operation Christmas Child (OCC) is going to use the shoebox that we filled with presents as a way to present the Gospel to these children; this excites our family! One thing that Charity and I have committed to is helping our daughters understand the need to help. We are in a place in life where we can help others and the focus doesn't always need to be on self. To help with that, this year, we decided to let the girls fill the shoe boxes for OCC. Charity and Leah went to the store and bought the suggested items for the boxes one morning. Later that night we took the time, as a family, to pray for the children who will receive the boxes and then fill them. We let the girls pick the items that would go in the individual boxes so they got to feel more ownership over the process. They had a great time picking out the toys, hygiene items, markers, and socks that we put in the boxes. We asked them if they would like to write a personal card for the girls and they choose not to but they did want to color them a picture and put it in the box. One thing that we chose to do was pay for shipping online so that we can track the boxes! Our girls are super excited about this and we are really stoked to see how God is shaping their hearts with compassion.